Swimming has long been a heralded exercise due to the fact that it provides a solid cardiovascular workout while remaining gentle on the joints. The water can provide a stable environment, free from harsh elements, that keeps swimmers from overheating during a workout. These features make swimming attractive to older adults, and new research that shows it can lower blood pressure boosts its stock even more. 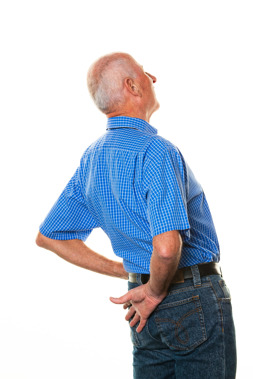 The small study, conducted at the University of Texas, found a decrease of almost 10 mm Hg in the systolic blood pressure (the number “on top”) of seniors who had borderline high blood pressure but were not receiving any type of treatment for their condition. As a bonus, researchers also found improved elasticity in the arteries of the participants, which is beneficial for preventing stroke and heart disease. These positive results were exhibited after three to four days per week of various swimming exercises for a total of twelve weeks. If you’re an older adult seeking a lifestyle change that can help decrease blood pressure or someone simply wanting more variety, consider trying swimming. Or, perhaps you’re looking to get a parent, grandparent, or other loved one involved in an exercise program. 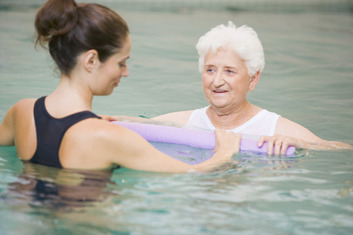 Due to swimming's popularity, use of a swimming pool and aquatic programs is offered at many fitness centers associated with senior living communities. Other local fitness centers and community pools may also provide an opportunity to reap the benefits of swimming.